Male of a Brachymeria species, possibly B. hammari, photographed by John Hallmén. For the subject of today's post, the wheel-spin brought up the parasitic wasp Brachymeria perflavipes. This is a species of the family Chalcididae described by our old friend Alexander Arsene Girault in 1913 from a female specimen collected in the Dandenong Mountains in Victoria, Australia. 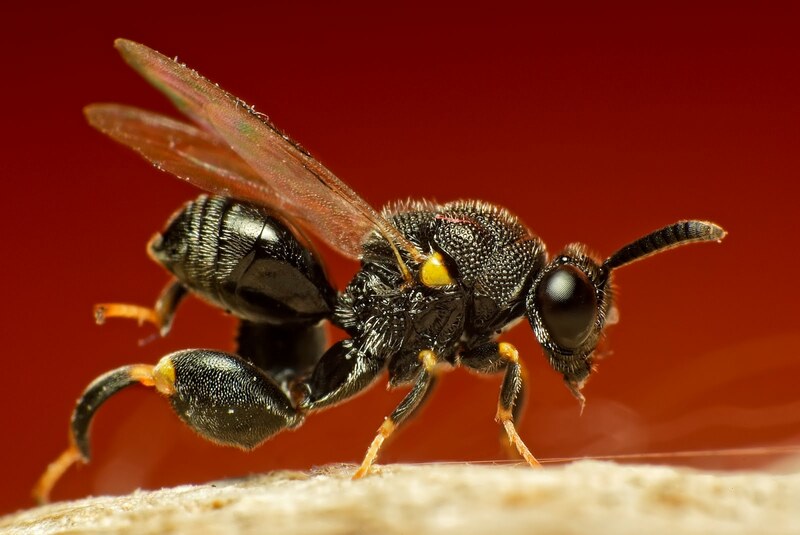 He described it under the name of Tumidicoxa flavipes; when that genus was later synonymised by Girault in 1915, the species name was replaced by perflavipes as there was already a Brachymeria flavipes. Girault's description of this species was, thankfully, more detailed than some of his later productions, though the species was not illustrated (not an uncommon state of affairs at the time) and, to the best of my knowledge, never has been. Girault (1915) later also recorded a male from Brisbane in Queensland, collected from a lepidopteran host. And that, except for an extra host record by Bouček (1988), is pretty much the sum total of our knowledge of this species. 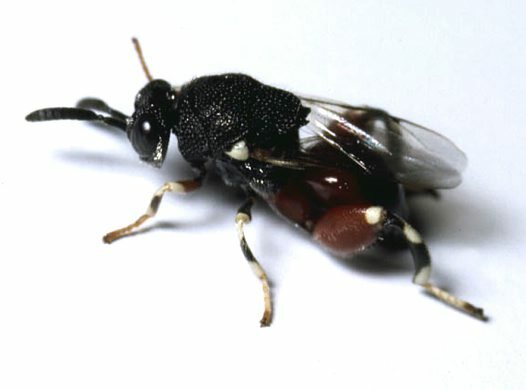 Brachymeria calliphorae, a parasitoid of blow fly larvae, photographed by C. Bento. Brachymeria is a large genus of Chalcididae, with over a hundred species worldwide. The Chalcididae are, in my opinion, one of the more instantly recognisable families of Chalcidoidea, with hind femora distinctly larger than those on other legs and with a ventral row of teeth. These large hind femora enable the wasp to jump, and I can confirm from personal observation that they are adept pingers. Most Chalcididae are black with coarse punctation over most of the body, though an interesting find on one of our recent field trips was a bright electric blue chalcidid. However, despite their recognisability, a recent major molecular phylogenetic analysis of Chalcidoidea failed to recover the Chalcididae as monophyletic. Brachymeria is distinguished from other chalcidid genera by features such as a short petiole, short postmarginal vein (but even shorter stigmal vein), distinct malar suture, and hind tibia with a distinct apical spine (Bouček 1988). Attempts have been made to subdivide Brachymeria into subgenera but, as we saw with Ormyrus, proposed subgeneric divisions have been based on species found within a restricted biogeographic area (e.g. Burks 1960; Bouček 1988) and a broad worldwide survey of Brachymeria still hasn't been conducted. Brachymeria ovata on pupa of crow butterfly Euploea core, from Brisbane Insects. Most Brachymeria species (including B. perflavipes) are parasitoids of lepidopteran pupae, but some attack dipteran larvae or pupae (more on that in a moment). 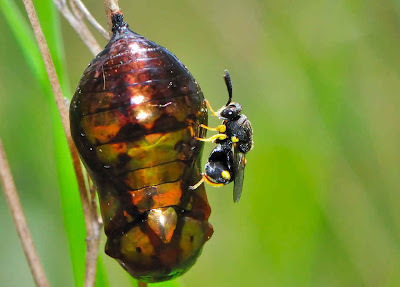 Though more than one egg may be laid within a single pupa, Dowden (1935) found that in the case of B. intermedia, a parasitoid of the gypsy moth Lymantria dispar, only one wasp would develop to maturity in a single host. Indications are that the wasp larvae themselves kill any would-be competitors within the host: the mandibles of the larva are strongly sclerotised even in the first instar, and Dowden found that dead larvae dissected out from a host invariably bore signs of injury from the mandibles. Larvae dissected out from a host and placed together would quickly attack each other. Diagram of distinguishing characters of Brachymeria intermedia vs B. compsilurae, from Dowden (1935). Brachymeria species also include a good example of the potential importance of reliable taxonomic identifications. The aforementioned B. intermedia has been the subject of deliberate introductions outside its native range in attempts to control its host, the gypsy moth (or, more accurately, one of its wide range of hosts). Another Brachymeria species, B. compsilurae, closely resembles B. intermedia and also appears to lay its eggs in gypsy moths. 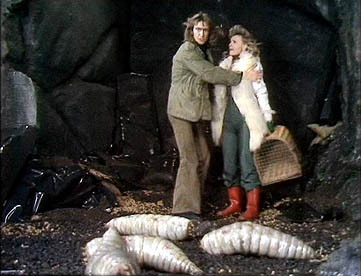 However, the target of B. compsilurae is not the gypsy moth itself, but the larvae of tachinid flies that are parasitising the moth and are themselves used in its control. Programs to introduce B. intermedia to New England had to be careful to eliminate B. compsilurae (Burks 1960), whose release would have the opposite effect of that intended. Bouček, Z. 1988. Australasian Chalcidoidea (Hymenoptera): A biosystematic revision of genera of fourteen families, with a reclassification of species. CAB International: Wallingford (UK). Burks, B. D. 1960. 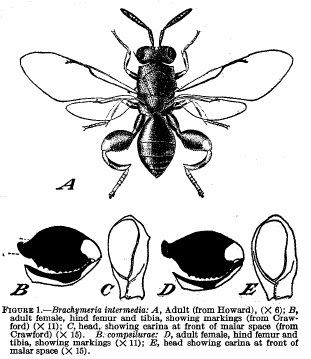 A Revision of the genus Brachymeria Westwood in America north of Mexico (Hymenoptera: Chalcididae). Transactions of the American Entomological Society 86 (3): 225-273. Dowden, P. B. 1935. Brachymeria intermedia (Nees), a primary parasite, and B. compsilurae (Cwfd. ), a secondary parasite, of the gypsy moth. 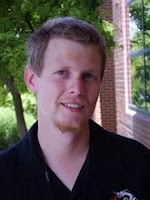 Journal of Agricultural Research 50 (6): 495-523. Girault, A. A. 1913. On several new genera and species of Australian Hymenoptera Chalcidoidea. Canadian Entomologist 45: 101-106. Girault, A. A. 1915. Australian Hymenoptera Chalcidoidea—XIV. The family Chalcididae with descriptions of new genera and species. Memoirs of the Queensland Museum 4: 314-365. Munro, J. B., J. M. Heraty, R. A. Burks, D. Hawks, J. Mottern, A. Cruaud, J.-Y. Rasplus & P. Jansta. 2011. A molecular phylogeny of the Chalcidoidea (Hymenoptera). PLoS One 6 (11): e27023. doi:10.1371/journal.pone.0027023. Oh. OHHHHHH. I've been trying to figure out what the large femora of certain Canthylocelididae Diptera might be for, and you've given me a pretty good hypothesis. I must admit, the first time that I came across a reference to chalcidids' large femora being used for jumping, I found it hard to imagine as I didn't think that they looked much like jumpers. But then I saw one live, and as soon as I got too close it just dematerialised in the same way that springtails do. Pretty cool. I can't quite decide if that's bravery or hubris. My experience with flies is just enough to suspect that I could never hope to be a dipterist.